Despite what Miranda Priestly thinks, floral fragrances and spring are a perfect match. Selecting a fragrance is a highly personal choice that represents different things for different people. For some, they pick one fragrance and commit to it, while others have a far more flexible approach, selecting a different scent based on the occasion, mood or season. While it’s often thought that floral fragrances are ultra-feminine, the floral family is far from being one-note. With a whole spectrum of fragrant flowers to choose from, the results can be anything from girly and fresh, to moody and mysterious. From first conquering the fashion world in his early days at Gucci and YSL to launching his eponymous label that encompasses the worlds of fashion, beauty and fragrance, Tom Ford has proven he is the master of all. 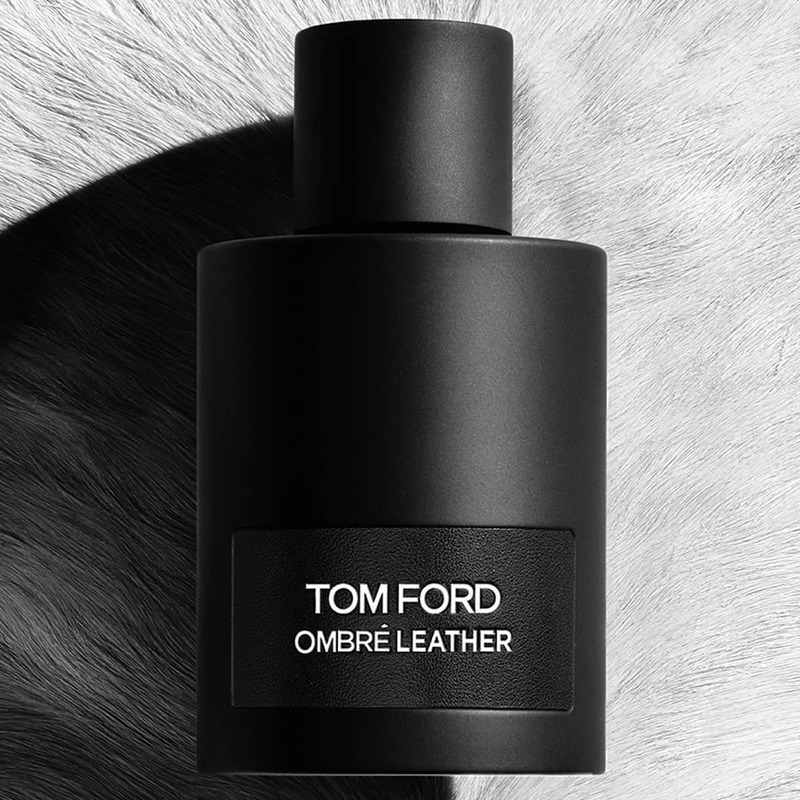 His beloved Black Orchid perfume is well-known favourite, so this season, expand your collection with his latest scent, Tom Ford Ombre Leather. This unisex fragrance is deeply textural and sensual, featuring notes of floral leather and cool spices. For the girly girl, Coach Floral has your name all over it. A refreshing floral fragrance – it opens with notes of citrus, pink peppercorns and pineapple sorbet with the heart revealing a bouquet of flowers including rose tea, jasmine and gardenia. 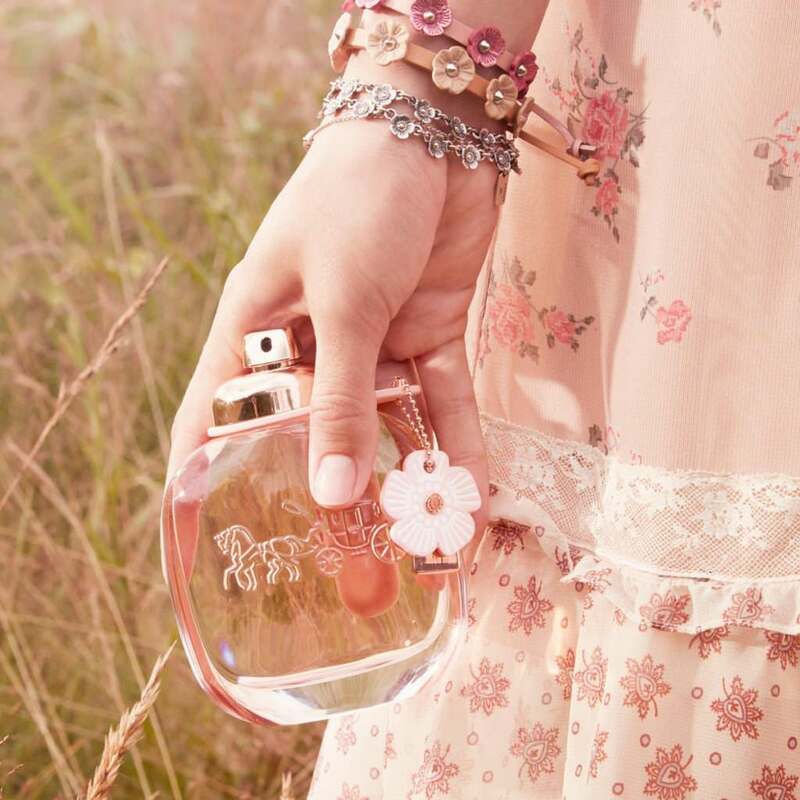 On top of that, the bottle features the iconic fashion house’s tea rose emblem which all Coach lovers will fawn over. If Italian elegance could be bottled up, it would look something like Giorgio Armani Sì Intense. As its name promises, Sì Intense is a powerful reinterpretation of Armani’s signature fragrance, Sì. Blending base notes of musky blond wood with seductive blackcurrant, fresh bergamot, silky white freesia and vanilla – this isn’t your typical floral scent and is a classy finish to any outfit. Let’s face it, nobody knows roses like the English do. 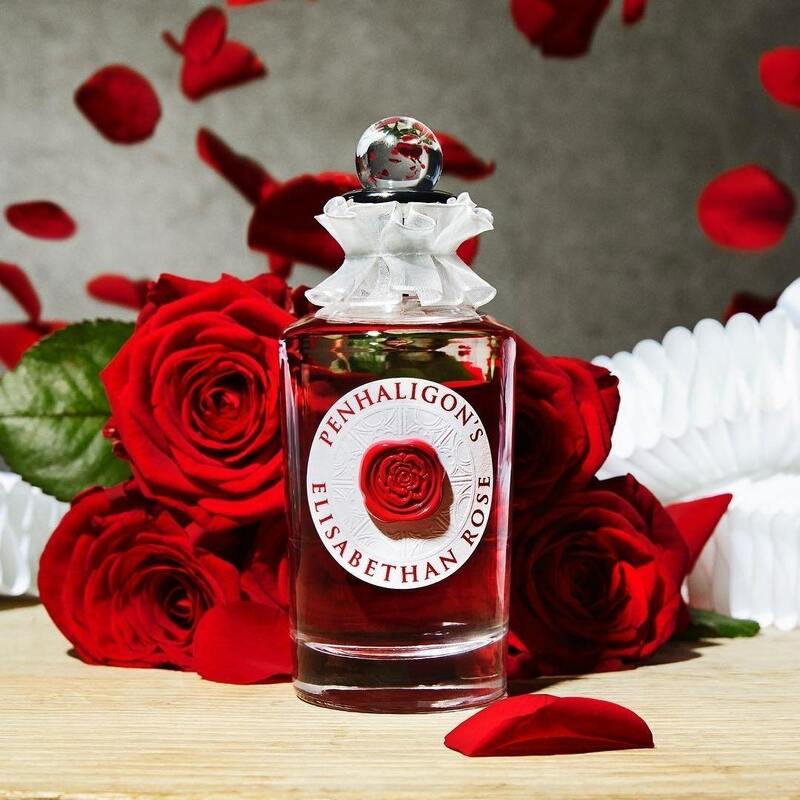 Penhaligon’s Elisabethan Rose Eau de Parfum is fit for a queen, featuring notes of red lily, rose, cinnamon, musk and wood. his scent is perfect for the woman who is regal, confident and loves her English Breakfast tea. 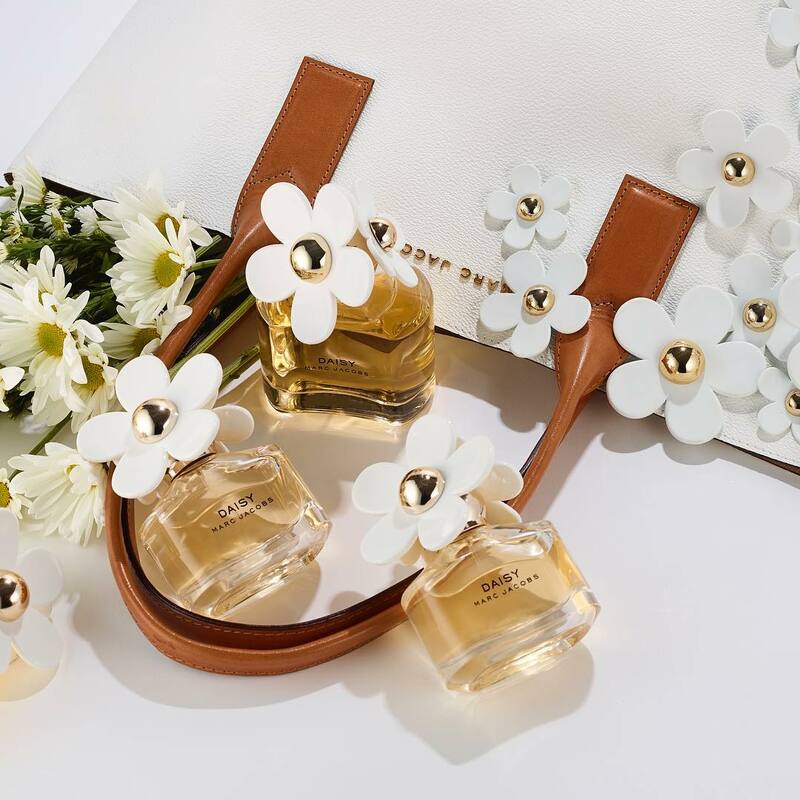 No spring fragrance list is complete without a mention of Marc Jacobs Daisy. Its charming bottle is coupled with a beautifully pure scent that will keep you coming back for more. Infused with succulent wild berries, soft white violets and velvety jasmine, this scent is for the dreamer at heart. You can shop all these fragrances at St. Collins Lane. Tom Ford, Giorgio Armani, Penhaligon’s and Marc Jacobs fragrances from Debenhams, located on Lower Ground and Ground Floor. Coach fragrance from Coach, located on Ground Floor.